I spent a lot of time this year in what one might generously term "interesting circumstances". One of the outcomes of that was a game I had in the back of my mind for years. 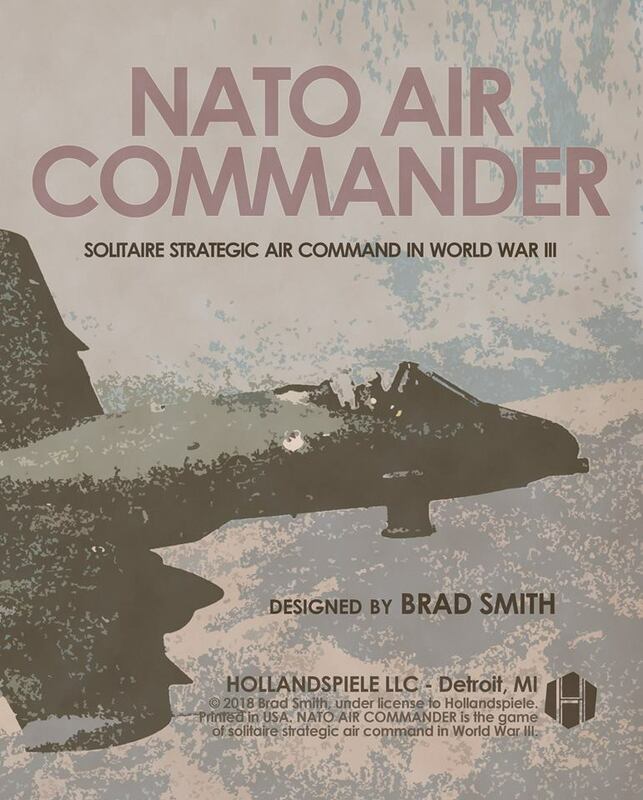 NATO Air Commander is the first game I have ever designed and I'm particularly humbled by the show of early support from playtesters and wargamers. Tom and Mary Russell, the heads of Hollandspiele Games, were particularly supportive and I am especially grateful for that. 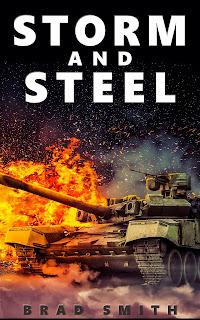 Just like the title says, this is a solitaire game that is supposed to put the player in the shoes of an Allied Air Commander during a hypothetical World War III set around 1987. To that end, the decisions you make in this game are big theater decisions and the scale of the game works on the level of flights of aircraft. Each turn, you're creating and assembling raids and assigning missions to air units, hoping to influence the ground war - over which you have limited control. The game came out of a desire to see more depth in the air portion of the wargames that I was playing. 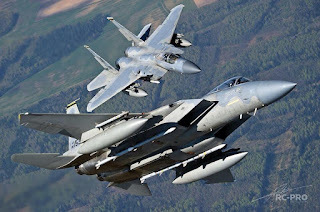 Quite often in traditional wargames, air units are relegated to bombing the hell out of an enemy counter during a separate air phase and shifting the CRT to the right one or two columns during ground combat. This game is coming at the issue from another angle where you have some deeper decisions over how your air units fit into the overall warplan. 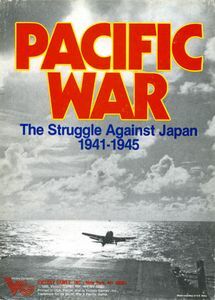 During the early part of the summer, I read a few books that directed the development of the game. 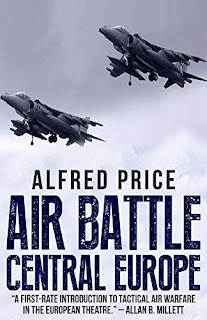 The first was Dr. Albert Price's Air Battle Central Europe. This helped me think about the missions that different aircraft would perform and how they would work together in the "big picture" air war. Another book was Col. James Silfe's Creech Blue. 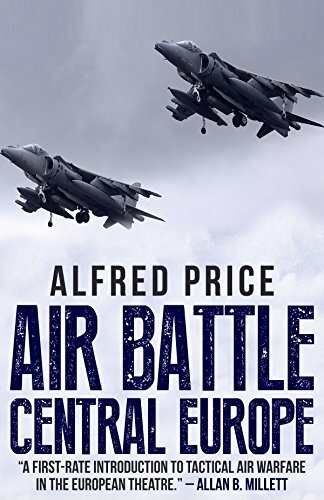 This book talks about how NATO tactical air was utterly transformed in the post-Vietnam era. That brought me around to reading about General Bernard Rogers, who was NATO's supreme commander during the 1980s. That pulled me towards the importance of hitting at follow-on-forces since General Rogers thought this would be an intrinsic part of winning any World War III scenario in Central Europe. This paper delves nicely into the topic. I tried to provide a smorgasbord of missions that would allow you to attack the enemy in your own way and to formulate your own air strategy. You can certainly just shove all your air units to the front and hammer at the enemy with close air support. It may not be enough to turn the tide though. The Warsaw Pact is a huge beast and you'll find yourself scattered thin in any such attempt. Or you can go for enemy headquarters and try to stifle overall command and control ability, which will slowly influence how the game plays out from turn to turn. This is done by letting the player remove cards from the game. It takes time for that to work though - and as the NATO player you don't have much of it. You can also decide to spend your time and resources hitting at the enemy's defenses and trying to gain air supremacy. The only problem is that you'll have to take precious resources away from performing CAS missions at the front or hitting at enemy reinforcements that are rolling to the front. All the while, you'll be getting screamed at by ground commanders to hit back at the enemy pushing through in their sector. I wanted the game to provide the player with tough decisions and live with their consequences. I also wanted the feeling of frustration at succeeding in the air war but it still just might not be enough to win things on the ground. I'm not sure I have that right yet and I am hoping the playtesters' comments will help me guide things in the right direction for that. I also wanted NATO Air Commander to be a simple and fast-playing game. An ideal playing time would be an hour or so. This is because I'm a really busy guy with not a lot of spare time. I am worried that games of this type tend to get bloated (and some are bloated in amazing ways, mind you). I learned some very important things with this first design. The first is that WOW - designing a game is definitely not an easy task. I thought NAC would be simple to design because I was trying to make it simple to play. After my first couple of solo playtests with my first version of the rules, I had an inkling of just how hard it was going to be. I revised and tinkered with the rules for months and each time I thought I had things right, something else would pop up that brought me back to the drawing board. When people talk about "unfinished games", they are really talking about every game. The second thing I learned is that game design requires a certain amount of faith and a considerable amount of hubris. Making estimations of real-world unit capabilities was one of the toughest things I had ever done. Coming up with a formula for values was nearly impossible. At first, I counted hardpoints on air units, then the issue of range came up, then electronic warfare capabilities, pilot training, etc. There is a tendency to try and take so much into account that the formulas start to break down at some point. The answer was to simplify. I looked at what other games around that time had done, read about the primary roles of each air unit in real life and the weapons they could carry, and then made some modifications from there. Much of it is guesswork and that's okay because we're talking about a conflict that never actually happened. There's some liberty in that but I know I'll have people who are unhappy with the A-10's ground rating of "7" or whatever. I can live with that. Hopefully though, the game will be enjoyable more than anything else. If it brings a smile to someone's face, it will have done it's job. Being also at my first game, I know very well how true your story is....it never seems to finish, no matter how hard you try. At a certain point, you simply have to force yourself out of it. My best wishes to your creature! Thanks Fabrizio! I am very much looking forward to your game. It looks fantastic. Hi Brad, interested in the game I visited the hollandspiele website but couldn't find the game. When will it be available? Oh it's still very much a work in progress. We just started the first round of playtesting. If all goes well, it might be out Q2 or Q3 next year but I'm really not sure. I am playtesting it right now. I am just now finishing my second turn, and I've finally hit the A-ha moment where the system clicks. It looks like it could be great. That's great to hear! Thanks very much. Glad it makes sense. Nice to hear from you, Mircea! I think the game is currently in the second round of playtesting at this point. I have no idea if they're looking for testers right now but you might want to pop by the Hollandspiele website and give Tom a shout if you're interested. Hope that helps! Sorry to hear that Mircea! Hope you can get your hands on a copy at some point in the future. Very interesting book. 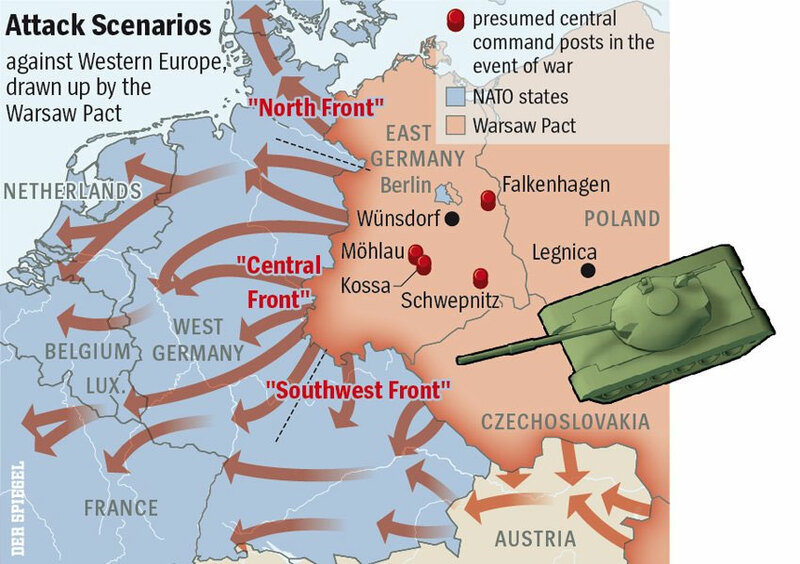 It gives some larger-scale context to games of Downtown or Elusive Victory and hypothetical 1980's WW3. Great work, Brad. Fantastic subject and I reckon with your attention to detail and ability to make tough calls when needed it will be a winner. Am chaffing at the bit to have a go at this! Thanks Aaron! Tom and Mary are great to work with. This may have been designed by me but they are the real developers with their feedback and patience. Also had some terrific feedback from playtesters. If the game is any good, it's because of them! Brad, have you played the Downtown/Elusive Victory system to compare and learn from ? On BGG they discuss now potential use of B-52 in non-strategic roles in a similar WW3 situation, SAMs and their countertactics etc. This really does look great, Brad.